The Le Chéile Schools Trust is a collaborative trust involving fourteen religious congregations. In joining, congregations affirm their commitment to the future of Catholic Education, and to work in partnership with the government in the Education system. The aim of the Trust is to carry on the legal, financial and inspirational role of trusteeship that has, up to now, been done by individual congregations. The main object of Le Chéile is the development of a vision of Catholic education and overseeing its implementation in the Schools, encouraging preservation of key aspects of the evangelical heritage of their founding Congregation and to provide for the needs of the students and communities in their schools. The Congregations are currently responsible for 59 voluntary secondary schools and are trustees in 7 Community Schools. 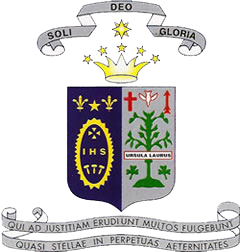 In September 2013 Ursuline College joined the Le Chéile Trust. The Trust comprises fourteen congregations. While each school within the Trust continues to develop and deepen its own ethos, schools are also enriched by the spirit and ethos of the Trust. Visit the Le Chéile website here.